We had something fresh and new with our dinner last night. 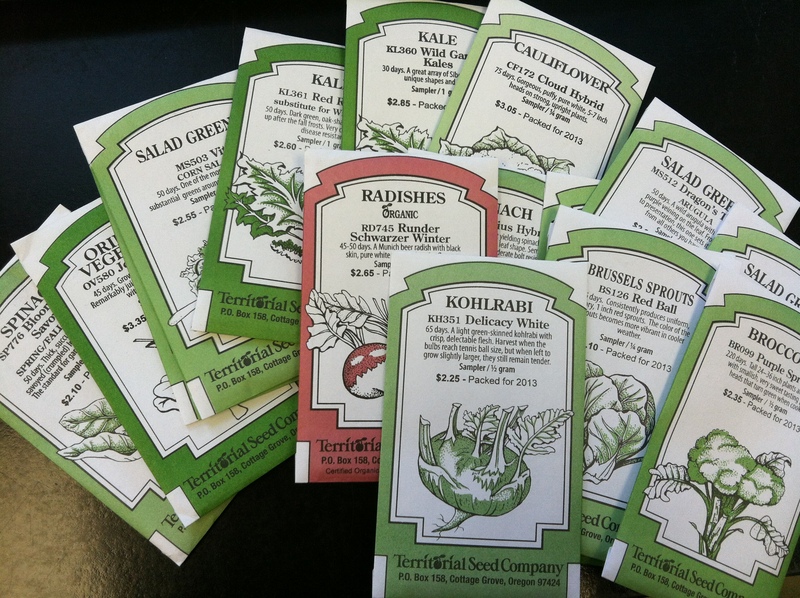 Sadly, our Brussels sprouts succumbed to the stressors of harlequin bugs and cabbage worms, but I was able to harvest a few edible sprouts for our personal use. Brussels sprouts have a similar past as beets with me….as kids, we either ate these veggies canned or frozen. Of course, when you cook canned or frozen veggies, they turn to dull colored mush. Leerly about eating Brussels sprouts, we were amazed at the wonderful color, texture and taste! Mom did a wonderful job making these few sprouts a delight. 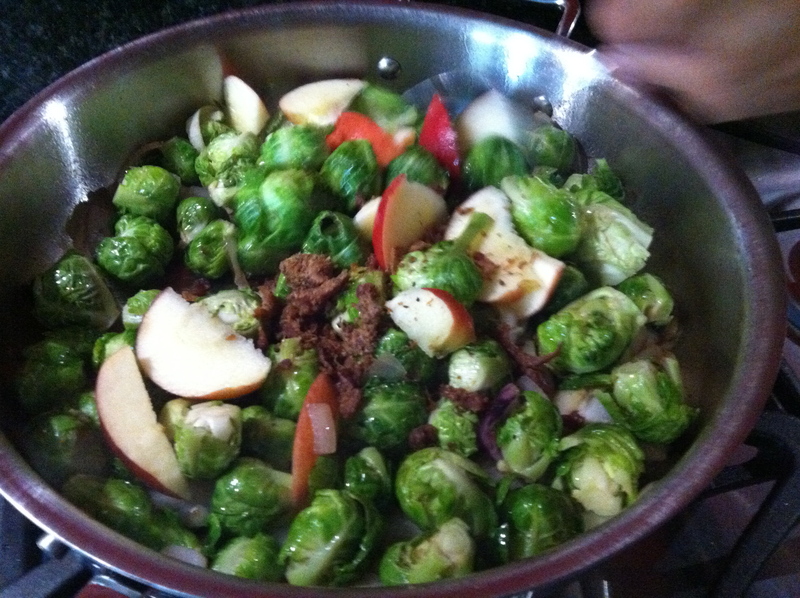 She sauteed the sprouts in olive oil and butter, added onions, bacon, yellow raisins and sliced apples. Take a look! I will find the actual recipe and post it soon…it’s wonderful and has me looking forward to a potential fall crop of sprouts.